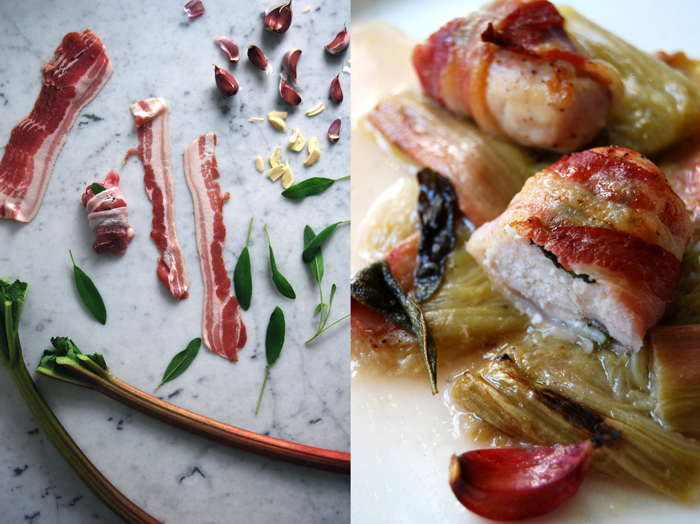 Sweet and sour rhubarb, salty bacon and aromatic sage wrap my juicy pieces of rabbit in a delicious composition of spring flavours. You could use pork fillet in this recipe as well but I like rabbit meat, it’s tenderness and unique taste. We often eat it when we’re in Malta where rabbit is so popular that it became the national dish. Be it as a Mediterranean stew with olives, tomatoes and wine, often cooked together with pork for a stronger aroma, or in a pie, I’ve enjoyed some of the best rabbit meals on this island! Rabbit meat isn’t very challenging to cook as long as it’s kept moist and not overcooked. 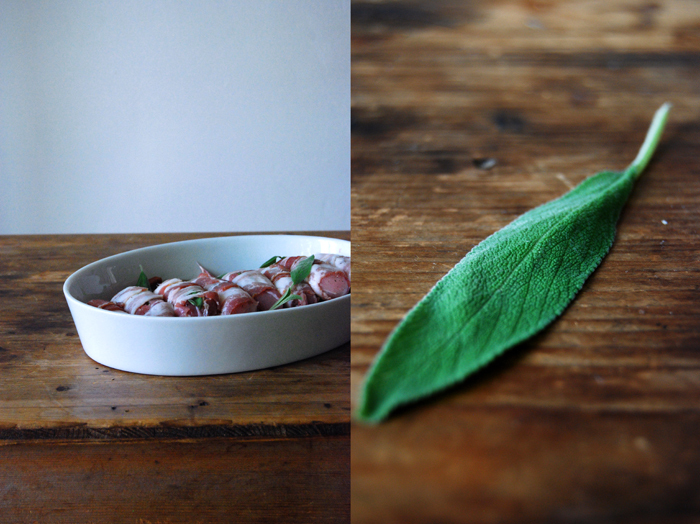 The little packages of sage and bacon in my recipe infuse the meat with their flavours but also keep it juicy. 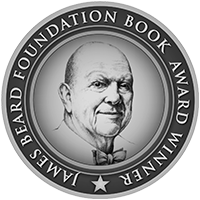 The steaming rhubarb roasting under the meat has the same effect. Its juices add a fruity taste to the meat and make sure that it doesn’t dry out while it’s cooking. Set the oven to 210°C / 410°F. 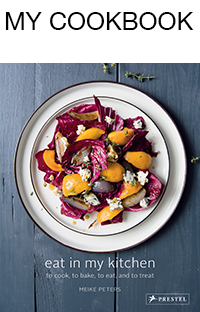 My oven has a Rotitherm roasting setting which works perfectly for this recipe. Cover the bottom of a baking dish with the rhubarb mixed with sugar. Season with salt and pepper. 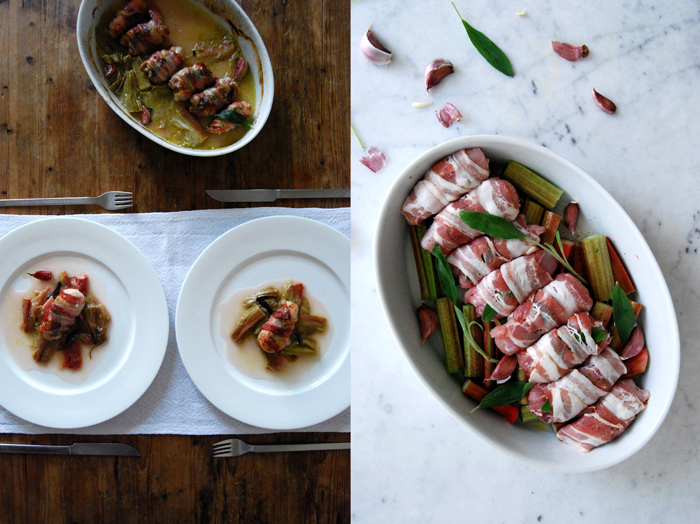 Divide the rabbit in 8 portions, season with salt and pepper and wrap each portion in a slice of bacon together with 2 leaves of sage and 3 slices of garlic. 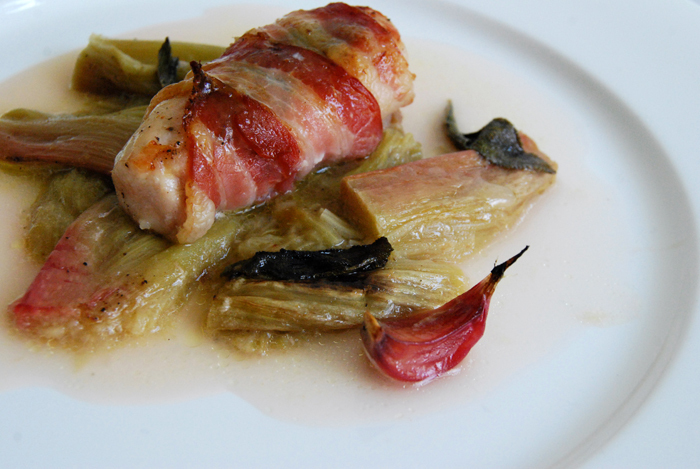 Place on top of the rhubarb and pour the wine and olive oil over it. Bake in the oven for 20 minutes, pouring some of the juices over it from time to time. For the last 3 minutes sprinkle the bacon with some sugar. Can you Substitute the rabbit and pork with boneless chicken breast? Hi! Yes, you can! I love chicken with fruits, I have a recipe with roast chicken and peaches which is delicious. I will make it again as soon as the peaches are a bit more ripe here. Fry the chicken breast in a splash of olive oil golden brown on both sides, season with salt and pepper and wrap it in 1-2 slices of bacon together with 4 leaves of sage and 6 slices of garlic. Bake the sugared and seasoned rhubarb in the oven for 10 minutes before you put the wrapped chicken on top. Turn the temperature down to 200°C / 390°F and bake the chicken for 8-10 minutes until it’s done. 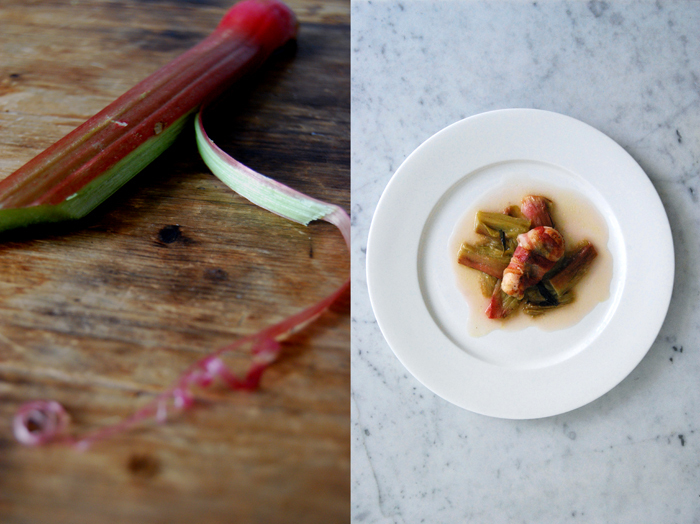 The rhubarb sounds like such an unusual and delicious addition – real spring time flavours! It’s true, it’s a great spring dish! The rhubarb’s sweetness is really nice together with the rabbit!